The battle for mobile OS dominance has taken another turn, with Microsoft effectively, and unsurprisingly announcing that it really, really wants you to own a Windows Phone. 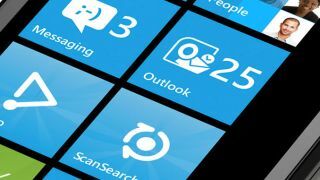 According to Mobile Review's Eldar Murtazin, the same blogger who broke the news about the $1 billion offer to Samsung earlier last month, Microsoft is apparently flashing the cash at a number of firms in the hope they'll build a Windows Phone device. The Samsung offer seems to have increased to $1.2 billion, while Chinese OEM Huawei is claimed to be in line for $600 million, and Japanese giants Sony set for $500 million. $500 million certainly seems like a big incentive, especially as Sony exclusively revealed to us at CES 2014 last week that is actively looking at Windows Phone. Whilst rumors of a Sony Windows Phone emerged in 2012, these were quickly quashed by CEO Kunimasa Suzuki. Could $500 million be enough of a persuasion? Rumors of a Windows Phone version of the HTC One seem to have been eliminated though, with no specific reference to the Taiwanese brand. It could be part of the $300 million earmarked to other developers, however. Whatever the future holds for Windows Phone, it is clear that the American firm doesn't want to be the sole provider of its handset. After all, where's the fun in that?